The Planning and Zoning commission discusses Grace Farms' new application on Jan. 16 at the New Canaan Town Hall. NEW CANAAN — After years of back and forth discussion between the town, Grace Farms and residents the foundation’s re-filed application made in November 2017 opened a can of worms. The foundation was asked to re-file applications last November after the town requested they do so to correct procedural issues raised in lawsuits from neighbors. Prior to the public hearing on the application Jan. 16, four neighbors appealing Grace Farms’ application sent a 40-page letter to members of the commission calling for Chairman John Goodwin’s recusal due to a “potential and perceived conflict of interest” referencing his career as a managing director at the investment bank Morgan Stanley. The letter was signed on Jan. 8 by Timothy Curt, his wife Dona Bissonnette and Paul and Danita Ostling. The signees all live on Smith Ridge Road. The chairman addressed this issue at the beginning of the public hearing: “This letter is an attack on myself and my integrity. I’m not directly or indirectly, in a personal or financial way, benefitting from Grace Farms. I have never had personal interaction with the person referenced. My firm is very large, just because there’s a client relation there cannot be a basis for broad accusations,” Goodwin said before stating that he would not be recusing himself. Throughout the hearing, Edward O’Hanlan, an attorney representing Grace Farms, went over 20 clarifications and corrections of the language in the September 2017 special permit approval, which had included over 100 conditions of use. 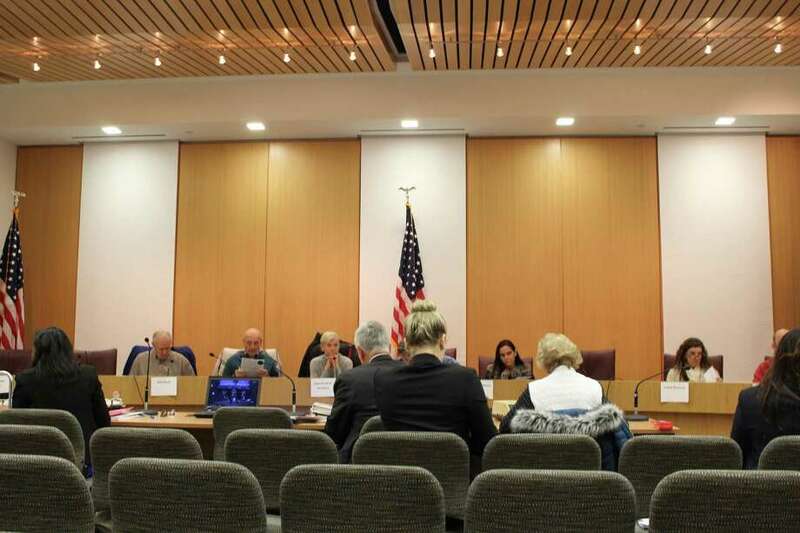 The clarifications raised questions from several commission members about conditions ranging from the number of attendees permitted on the foundation property for specific types of events, use of security cameras, defining “minimum” lighting and parking. Attorney Amy Zabetakis from Rucci Law Group and attorney Amy Souchuns from Hurwitz Sagarin Slossberg & Knuff, who each represent certain neighbors appealing the foundation’s application, argued that the new applications merited the introduction of new arguments. This included that the commission take into account a neighbor’s recent efforts to have their property enlisted in a national registry of historic places, thus calling for an environmental impact assessment and that the foundation is penalized if it failed to meet its conditions. After a four-hour public hearing Jan. 16 at town hall, Goodwin closed the public hearing regarding the applications. The Planning and Zoning commission will have until late March to deliberate.